I’ve never cooked with short ribs before, but have been really keen to try it since I had the short ribs at El Sizzling Chorizo in Ponsonby Central a little while ago. It’s not an ingredient that seems all that readily available in Auckland, so when I did see them at Farro Fresh, I snapped up a rack, eager to have a go at my own version. I did have to do a little bit of research for it as I wasn’t sure how to cook them exactly. In the end I decided that the best method was to slow cook it first for tenderness and then grill it for texture and added flavour. I served it with mashed potatoes and a simple green salad. The chimichurri recipe comes from the Simply Recipes website and can be found here. It’s easy and tasty, although I did halve it as I didn’t need as much as the recipe made. I was pleased with how it turned out – the outside had a nice crust and the inside practically fell apart when we cut into it. My husband (who loves his red meat!) really seemed to enjoy it. Put the rack (cut in half if too long) in a slow cooker and pour over the beer and beef stock. Cover and cook on low for 6 hours. (You can leave it in for longer but I wanted mine to be tender without falling off the bone). Turn off the cooker. When it is cool enough to handle, remove from the liquid and slice into individual ribs. Marinate in half of the chimichurri for at least an hour. Heat up a grill pan (or your barbeque). Season your ribs lightly with a bit of salt and then grill until the outside forms a nice crust and the inside has heated up again. 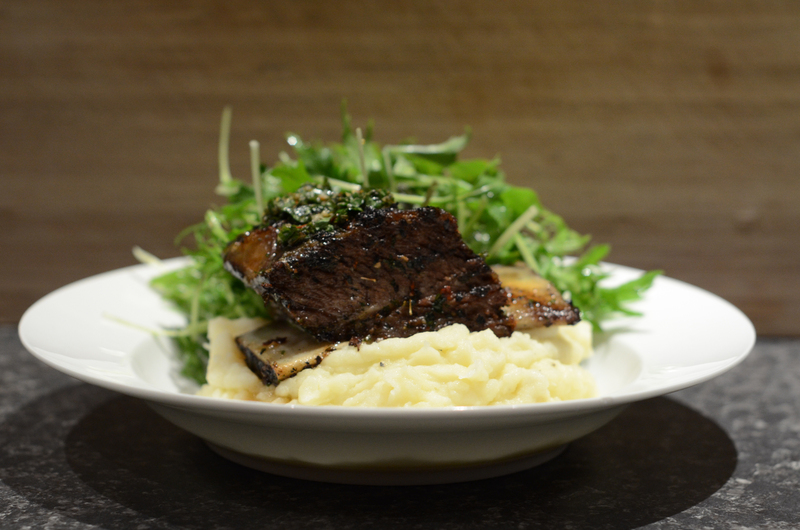 Serve the ribs with the remaining chimichurri spooned over the top. This post is part of the monthly link up party Our Growing Edge. This event aims to connect food bloggers and inspire us to try new things. This month is hosted by Marija from Palachinka. You can find out more about Our Growing Edge by clicking here. This looks like a great recipe that I’d love to try with my slow cooker. Thanks for submitting to Our Growing Edge this month. I’m trying to get in all my experimentation while I can! I figure that once baby arrives, my time in the kitchen will become significantly shorter. 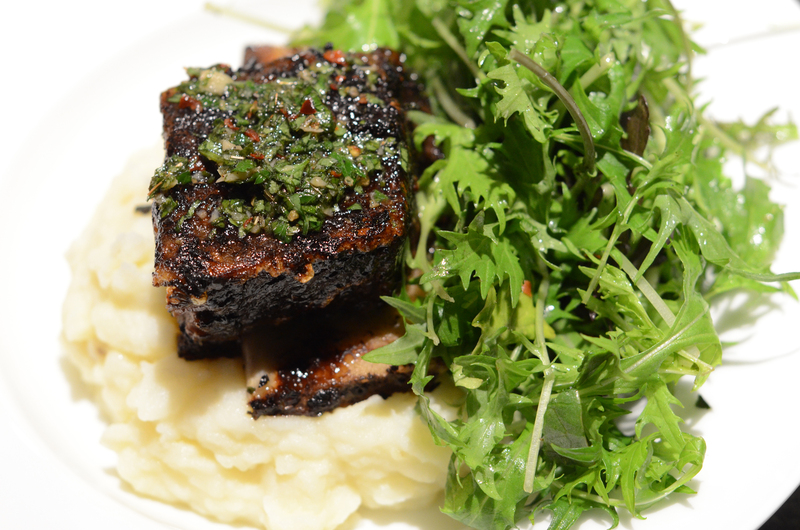 Even if you don’t cook the short rib, the chimichurri is really tasty for any grilled meat. I wish I could find some short ribs here to cook this today for lunch! It looks absolutely amazing! Thanks! It turned out much better than I had hoped!